A few weeks ago, when Princess had her Easter photo session, my photographer friend had this cool little scrunchy thing on the end of her camera. It had Minnie Mouse ears on it and was so cute! I was so surprised at how much Princess liked it. She turned from not looking at the camera to checking to see where Minnie was. So, when I purchased my camera, you know I have to have one! Who cares if I don’t know how to use the camera- as long as it looks good, right? So I set out to make a scrunchie with ears- a.k.a. 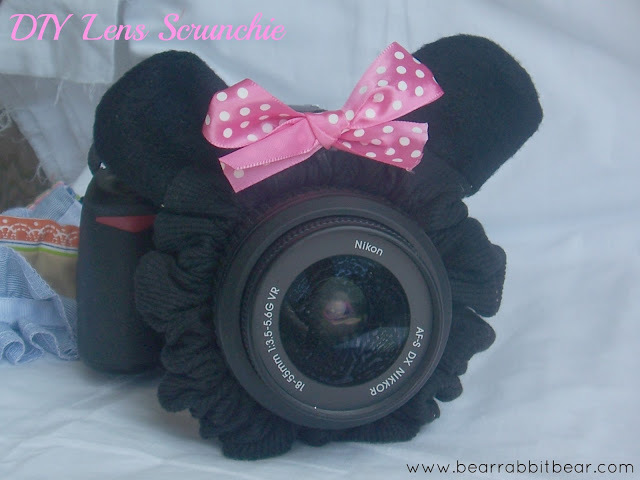 The Lens Scrunchie. I will warn you about the picture quality. I had to use my point and shoot to take pics of the finished product because my “good” camera is in the pics (obviously). Cut a length of black material approximately 30 inches long. Measure the length around your lens and cut a length of elastic the same size. Cut out 4 Minnie Mouse ear shapes. 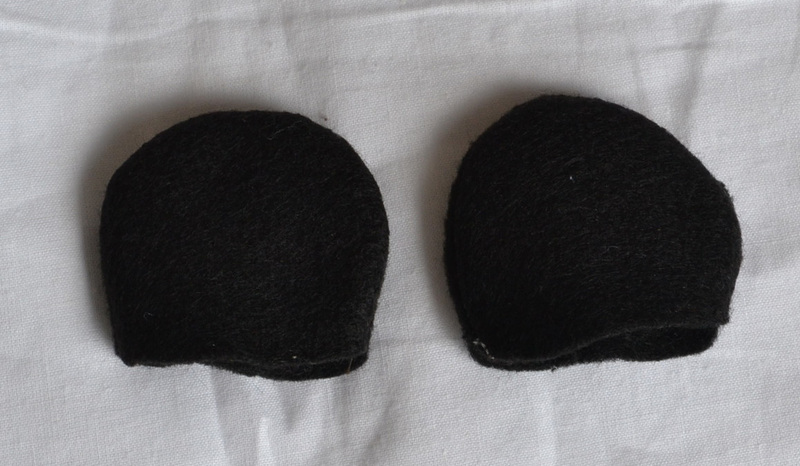 Take two of the mouse ears, place them right sides together, and sew. Leave the bottom open for turning. Do the same with the other two ear pieces. Fold the long piece of fabric in half, right sides together. Pin. 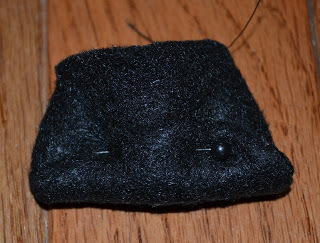 At the 13 inch mark and the 17 inch mark along the folded fabric, insert the mouse ears. I rolled mine up and pinned them so that they would not get caught in the seam. 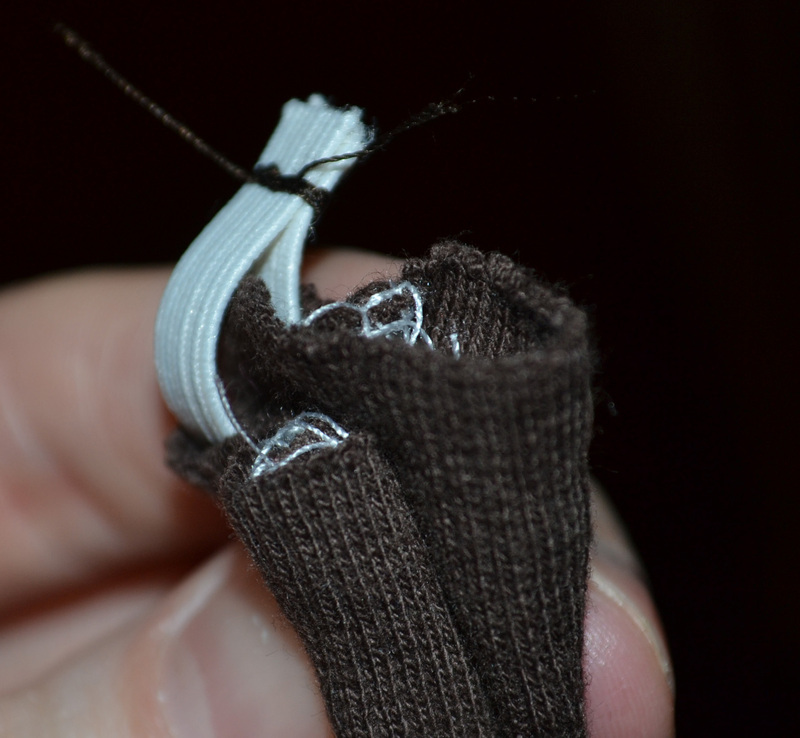 Sew down the long edge, using a 1/4″ seam allowance. Turn the tube right side out. Use a safety pin to thread the elastic through the tube, making sure the one end is secured at the end of the tube. Pull the elastic through and join both elastic ends. Stitch. This part is difficult to capture on a picture, so read carefully. Fold under one end of the raw fabric (about 1/2″). Bring this end over the other end with the raw edge (you should no longer be able to see a raw edge. Stitch in place. 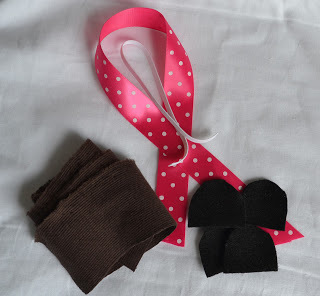 Make a bow using bright, colorful fabric. Hot glue between the ears. This is so cute! My mom is a professional photographer and I know she would love this! Thanks so much for sharring. Just hopping over from the May Day Blog Hop. I linked up with a little project on your Linky Party and grabbed a button for my party page. 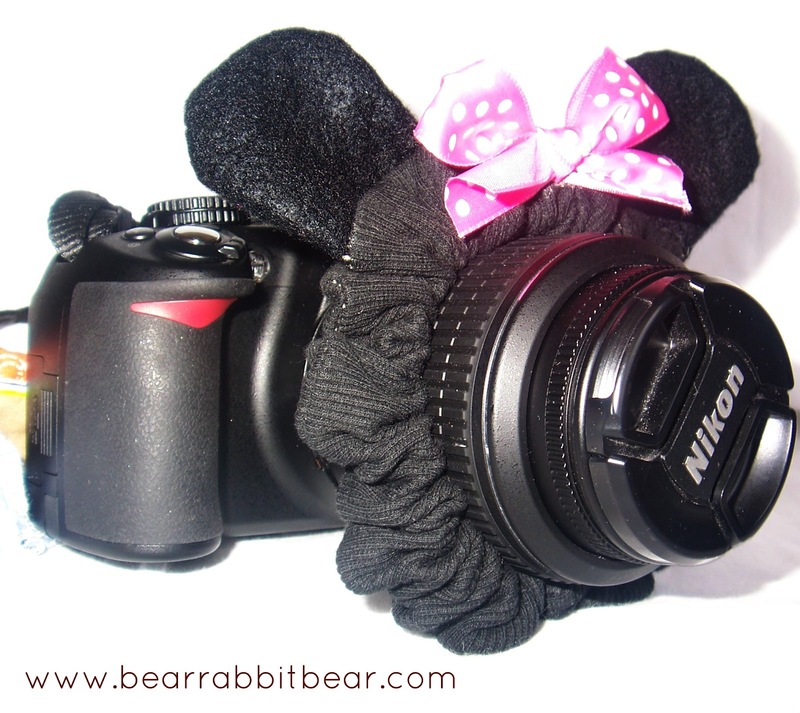 I would like to invite you to link up this adorable camera scunchie to my first ever blog hop. I definitely need to make one of these for my camera! Perhaps it will help draw my 2 year old’s eyes in the proper direction. It starts every Saturday Night. What a wonderful job you have done. I want one too! Thanks for coming and sharing this with us at The Sunday Round Up. Happy Mothers Day. What a great idea! I’m sure the kids love that. What a fun idea! Perfect for taking pictures of the kids! Genius! Hope you will be linking it up this week. Genius! I hope you will be linking it up this week. I have been wanting to do one… in ELMO. Great tutorial thanks for sharing at Create & Inspire!! I have no idea how I missed this before, this is great!! At this point, my diva daughter is all about the camera so it’s not necessary in our house (she even knows which button takes the photos). But this is such a simple thing to help with photography. Awesome. Featuring it at tomorrow’s party. Oh my how clever!! I wonder if I could figure out a boy one. Like a super hero or something. My boys will never look at the camera. What a great idea! Thanks so much for parting with us this week! What a fun idea! Especially to use with children. Awww, this is adorable. I think it would hold my attention too, lol. Great tutorial. Thanks for sharing at our party this week. This is sooo cute! I totally want one if we ever get to go to Disney World!!! How cute!! Thanks for sharing at Terrific Tuesday. So cute and fun. I’m so with you…love my awesome camera, but still need to learn how to use it! I thought about trying to learn super quick before we go to Disney, but then decided I wasn’t going to tote that big camera around when I can take my smaller one. If I could sew, I would make this! So stinkin’ cute! What a fab idea. Stopping by from Creative Thursday, so glad I did. I would love to have you come party with us sometime on our Fabulous Friday link party. Have a great weekend! So cute! I would totally use one of these on my camera. Thanks so much for linking up to Creative Thursday this week. Have a wonderful weekend. What a great way to get your little one’s attention to snap a few good photos! Thanks for sharing at tip toe thru tuesday! I love this sooooo very much!!! I’ve been dying to get a lens scrunchie!!! Now I can make one!! YAY!! This is just so dang cute! This would be perfect for our next Disneyland trip 🙂 Pinned! Thanks so much for sharing at Mom On Timeout! 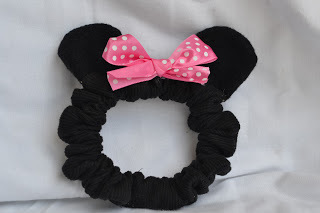 This is adorable, but where is the downloadable pattern for the Mickey ears? Hmmm…very good question!! I must have forgotten to scan it in. Thank you for letting me know. I’ve changed the wording for now until I can get it scanned in. This is adorable! I am SO making this before our next Disney trip! This is adorable! I am SO making this before our next trip to Disney!